Here's a wonderful, bright, fun, tribute to your best friend and favorite breed - THE ROTTIE! 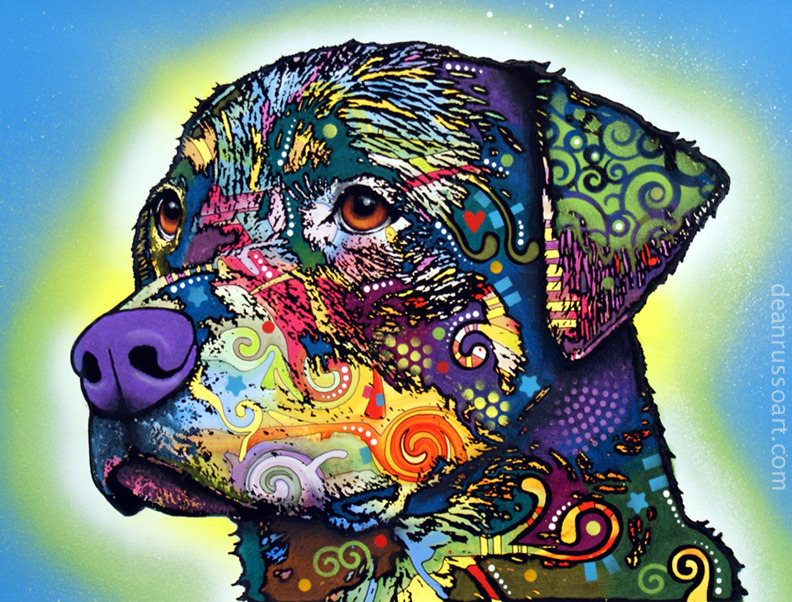 Vibrant pop colors come together to create a realistic Rottweiler portrait print by world famous animal artist Dean Russo. A really nice gift for anyone who shares their home with a Rottweiler or knows someone who does.